Late Steve Jobs created a revolution in the mobile phone industry when he launched the world’s first Smartphone and caught everyone’s attention when he integrated a touch screen ipod, a mobile phone and an internet communicator. His famous quote – ‘Stay Hungry! Stay Foolish!’ has been kept alive in the labs at Apple, with the company launching its latest version of its iPhone’s operating device which promises to be the most advanced mobile operating system in the world, which will revolutionalise the user’s interaction with the device. Here are some features of this latest addition to the iOS family , you would never want to miss out! Apple has announced Health, a new app for iOS 8 that gives you an easy-to-read dashboard of your health and ﬁtness data. There are four tabs in the Health app: ‘Dashboard’, ‘My Health’, ‘Medical ID’, and ‘Sources’. Dashboard offers a quick view of the various health metrics you are tracking in a scrollable widget view. To add a metric you tap the My Health tab and select a category. 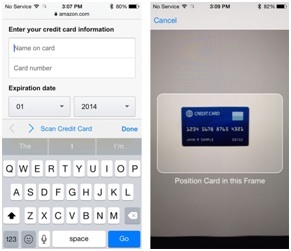 Buying stuff on your iPhone is about to become easier! Though this feature has not been added to Apple’s other apps that can take credit card input, such as the App Store, we can always expect Apple to continue to surprise the users with updates in the future. 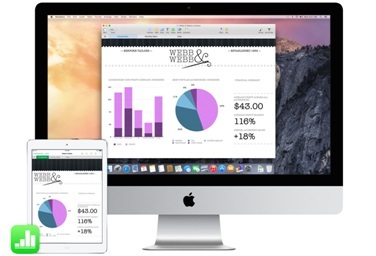 From iPhone to Mac in a flash! Handoﬀ lets the user pick up right where he left oﬀ! Now you can start writing an email on your iPhone and pick up where you left off when you sit down at your Mac or browse the web on your Mac and continue from the same link on your iPad. It all happens automatically when your devices are signed in to the same iCloud account. Use Handoff with favourite apps like Mail, Safari, Pages, Numbers, Keynote, Maps, Messages, Reminders, Calendar, and Contacts. 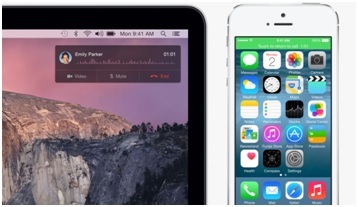 Even the app developers can build Handoff into their apps now. Texts and calls- Anytime; Anywhere! It’s not possible for you to have your iPhone with you all the time. But having your iPad or MAC with you prevents you from having a long list of missed calls and unattended texts. Now you can make and receive phone calls on those devices as long as your iPhone running iOS 8 is on the same Wi-Fi network. Incoming calls show the caller’s name, number, and profile picture.. And making a phone call from your iPad or Mac is just as easy. 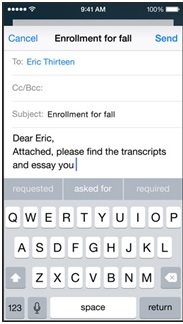 Simply select the recipient in Contacts, Calendar, or Safari. It all works with your existing iPhone number, so there’s nothing to set up. Draw in one app; sketch in another! Your apps can now share files, which means you can access and work on the same file across multiple apps. For example, you can create a drawing in a sketching app, then open it in a paint app to color it in. Or create a chart in one app and place it in a slideshow using a presentation app. No more making copies or importing documents from one app to another. It’s a whole new level of collaboration between apps. Believe it or not; It brings your family together! Family Sharing is a new way to connect your family digitally. Up to six people in your family can share purchases from iTunes, iBooks, and the App Store without sharing accounts. Payments can be made from the same credit card and kid’s requests can also be monitored by the parent/guardian. Easily share photos, a family calendar, and more to help keep everyone connected. Once Family Sharing is set up, family members get immediate access to each other’s music, movies, TV shows, books, and apps. 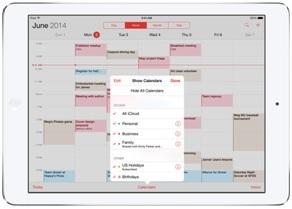 With the new family calendar, everybody in the family can add events to one calendar. Also, Family reminders can be setup which makes it easy to reach a get-together- be it a party or even a funeral. Family Sharing can automatically share your location with your family members and show you where they are, too. Though you can always hide your location with a single tap during your bizarre expeditions. Typing as you know it might soon be a thing of the past. iOS 8 brings the biggest changes to the keyboard since the very ﬁrst iPhone. Now you can tap to choose the perfect suggestion for your next word. And for the ﬁrst time, third-party keyboards will be available. Having long conversations will just be a matter of taps. iOS 8 boasts the best predictive text support ever provided. It not only predicts the words but also keeps in mind your style of writing and uses world that commonly used by you. It also keeps in mind the recipient of the message and surely won’t predict text meant for your spouse while conversing with your boss. Keep your media away from unwanted people! Images and videos in the Photos app can now be hidden from the Moments, Collections, and Years view in the Photos app. Holding your finger on a photo will bring up an options menu and selecting “Hide” will keep it from being visible in those sections. Hidden photos are still visible in the albums view, however, in new “Hidden” album. 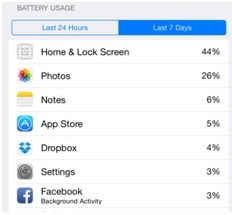 iOS 8 includes a new Settings option that allows you to view battery usage by app, monitoring the battery drain of specific apps so those that draw a lot of power can be shut down. 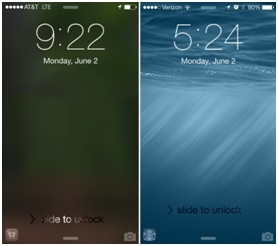 The App Store in iOS 8 uses location to display apps on the lock screen at relevant locations. For example, when at the Apple Store, the Apple Store app is displayed on screen, and at a Starbucks, the Starbucks app is shown. Tapping the icon for an installed app will open it, while tapping an icon for an app that is not yet installed opens the App Store. In the camera app, when the small preview icon at the bottom of the screen is tapped, it opens up a view that allows previously deleted photos to be recovered. A photo can be retrieved by tapping on the trash can (delete) icon. This menu can be cleared by emptying the new “Recently Deleted” album in the Photos app. This is just a glimpse of what’s being called as the highlight of this year’s technological achievements. 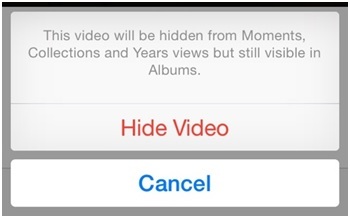 With the addition of many such features iOS 8 promises to be the best OS we have ever seen. But only time will decide whether iOS 8 proves to be the pinnacle of mobile OS or whether it survives as ‘ just another software update‘.